This post is sponsored by Gorton’s Seafood. All views expressed are that of our own. In fact, we buy the 4lb bags from our local club store to ALWAYS ensure we have Gorton’s Fish Sticks on hand for a quick dinner time meal. I love that Gorton’s Fish Sticks are made with 100% Alaska Pollock and these are super crunchy thanks to the Panko breading. They are perfect for adding to Fish Stick Casserole, Tacos, or eating alone. 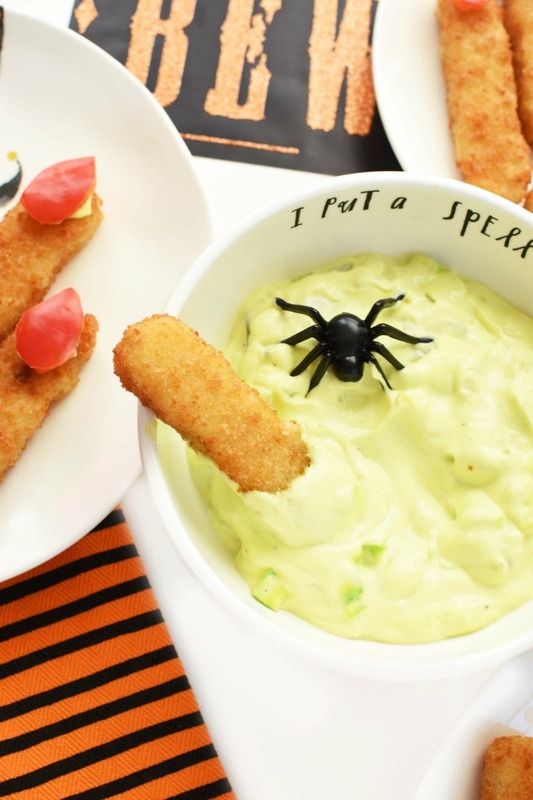 Of course, my favorite way to enjoy Fish Sticks is by dipping them in fresh tartar sauce! I have so many different tartar sauce recipes but one of my standby recipes involves pickles and a blend of common spices mixed with mayo. 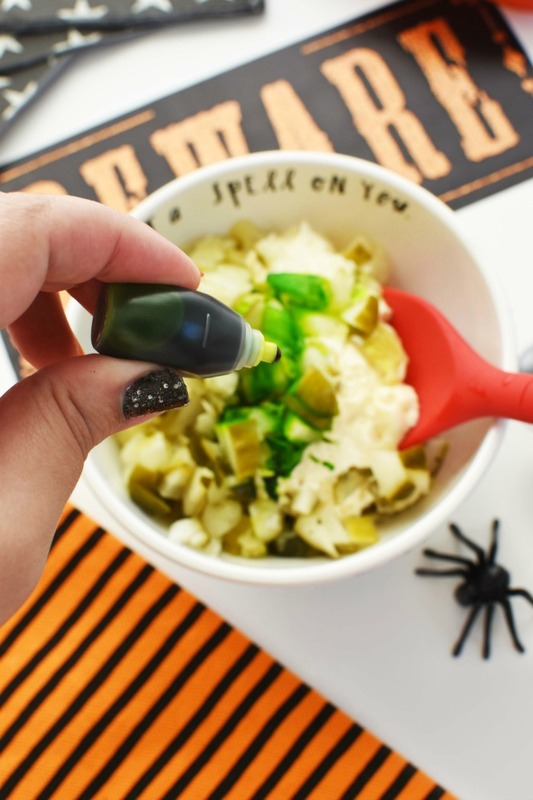 For this recipe feature, I even dyed it green to make it extra creepy for Halloween. 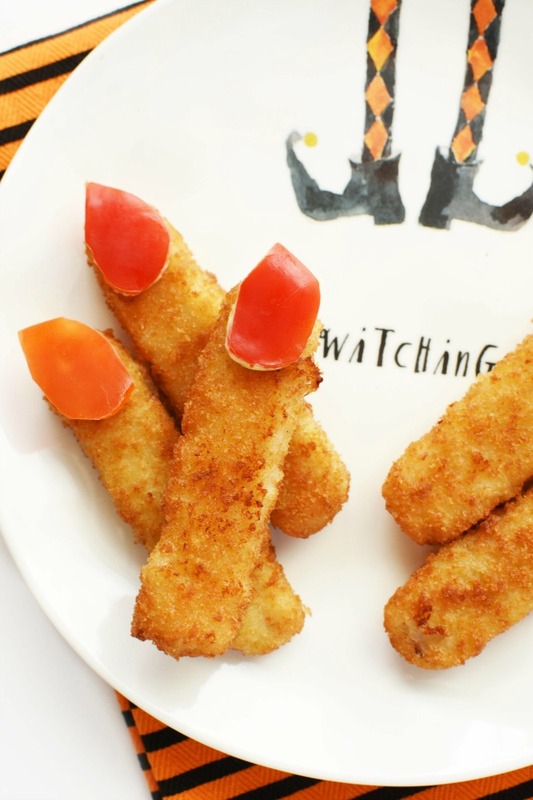 It was the perfect companion to these super, duper easy Fish Stick Fingers. 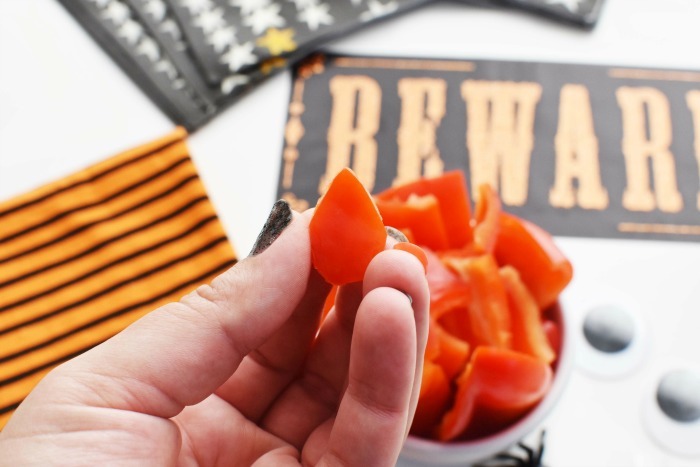 For the fingers, I simply used kitchen shears to cut red pepper into oval fingernail shapes. To adhere them to the Fish Sticks, I used a dab of tartar sauce to get the job done. 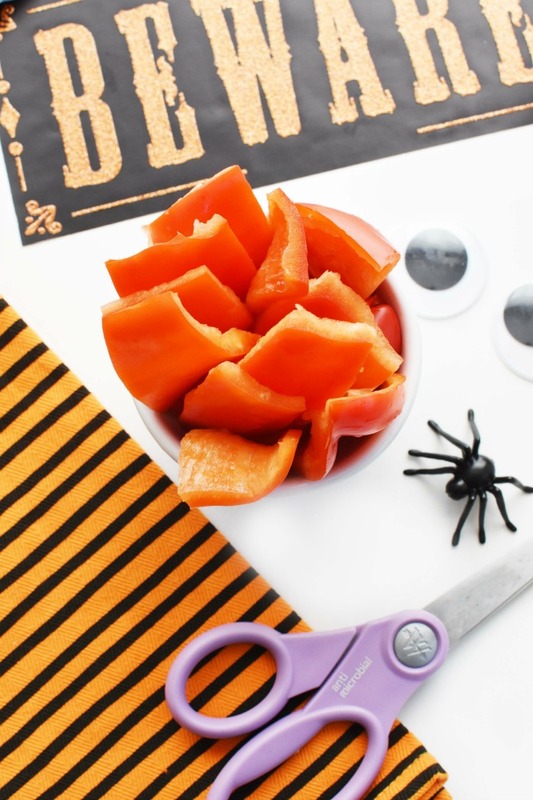 A few things I enjoy about this Halloween dinner idea is that is it super easy! 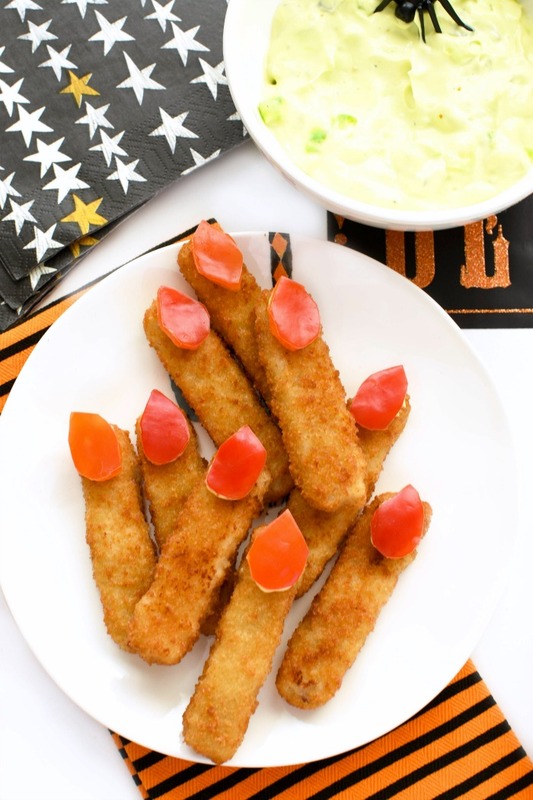 While the Fish Sticks are cooking, you can easily prepare the tartar sauce and cut out the pepper fingernails. 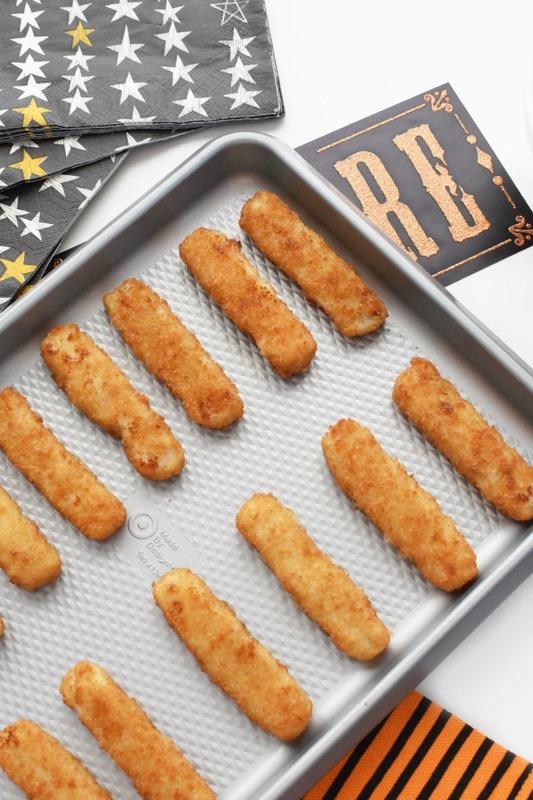 Once the Gorton’s Fish Sticks are cooked to a perfect, golden crisp, you can serve each child his/her portion with a simple side like a salad, chips, or mashed potatoes. 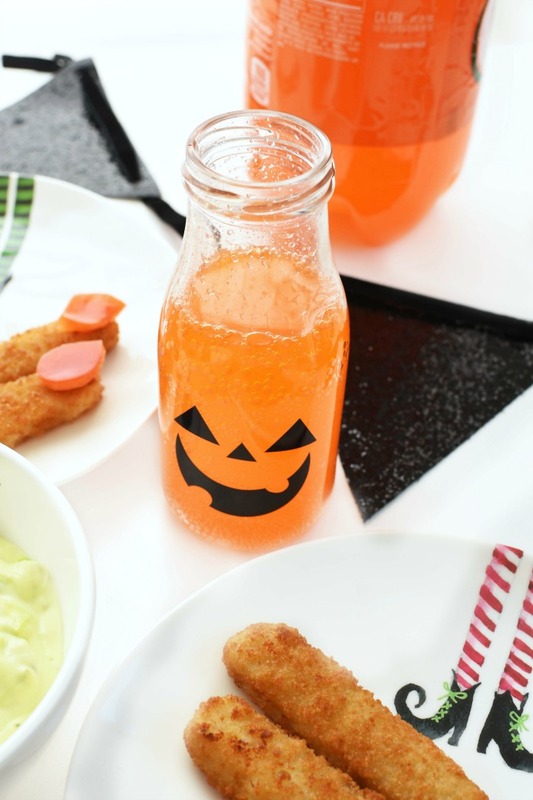 Maybe you could even treat the kids to some orange soda–because it is Halloween after all! I served ours in cute jack-o-lantern bottles. 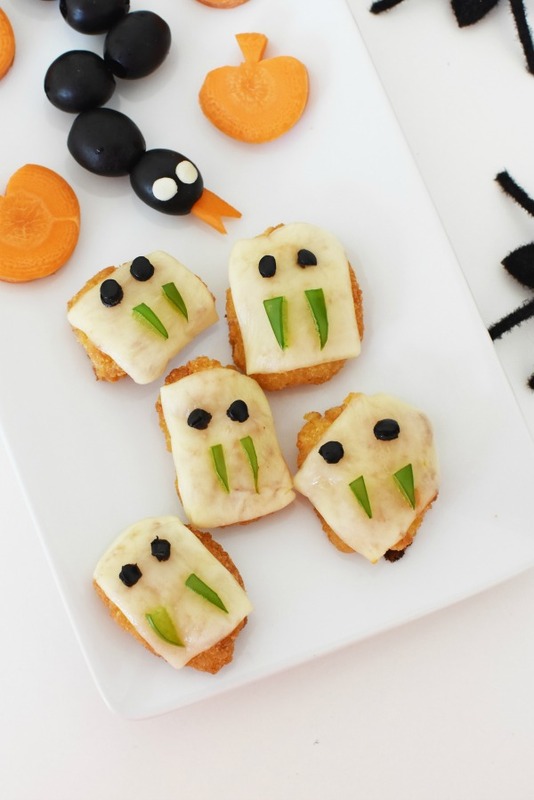 This meal is exactly what my kids will be eating after school on Halloween evening before we head out for candy. 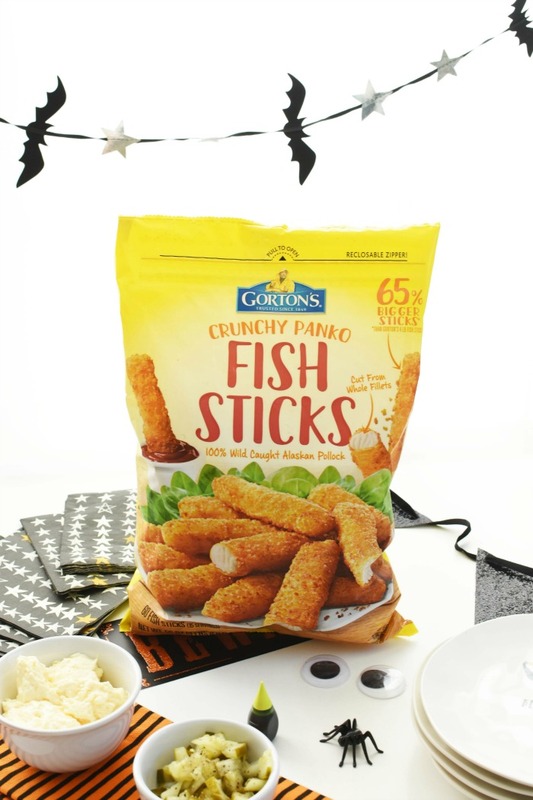 Even Jared and I love the taste of Gorton’s Fish Sticks—super loving the larger sized sticks too! You can find them at BJ’s! 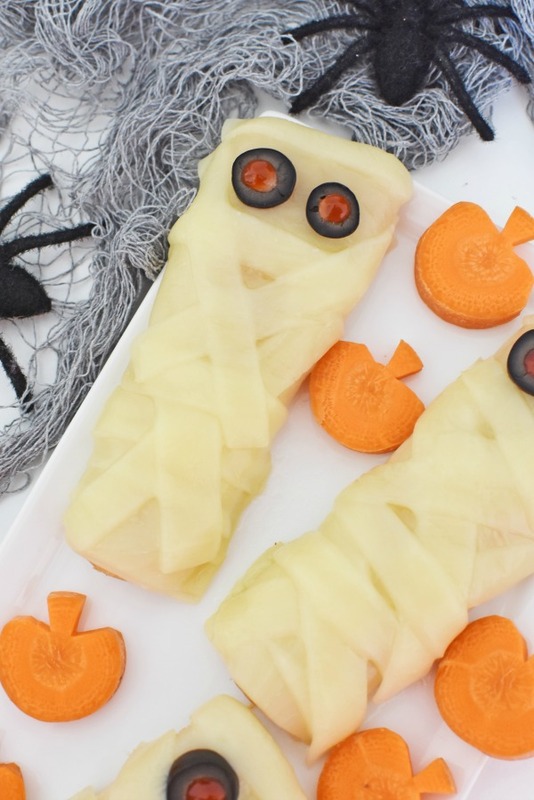 If you are preparing these for a Halloween Party, I suggest keeping them warm & crunchy for the best taste! Love Gorton’s & Halloween? 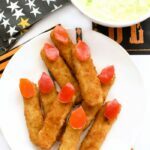 Consider making these Crunchy Fish Mummies or Shrimp Monster Bites. 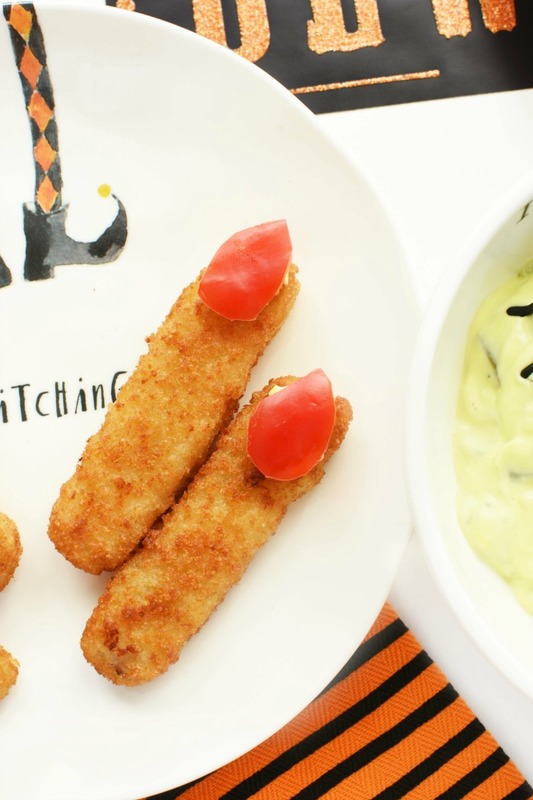 Get the Printable recipe for these Halloween Fish Stick Fingers with Green Tartar Sauce below! Are you excited for Halloween too? Will you be making a quick and easy Gorton’s Seafood meal? 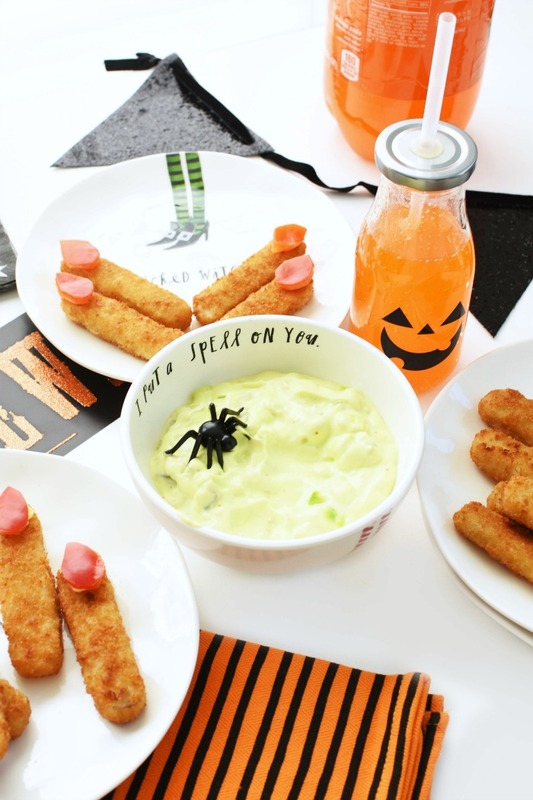 A creepy Halloween meal idea that is ideal for a spooky party treat or quick meal before trick or treating. 4 whole pickles chopped up. I use the refrigerated brand. Add mayo, spiced, and chopped pickle to a dish. Add in 4 drops of neon green food gel. Mix and refrigerate until use. 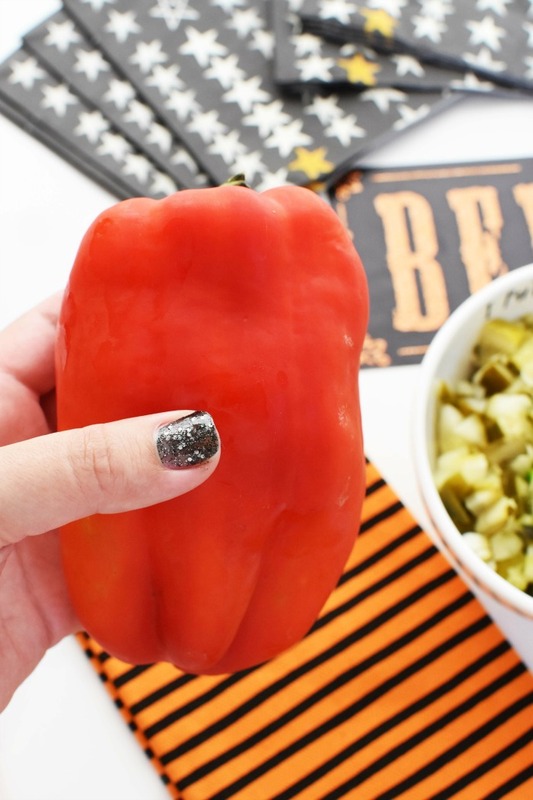 Using kitchen shears, cute bell pepper into oval nail shapes. Repeat until you have enough. If you are making a large batch you will need more pepper. One pepper easily did 12 sticks. 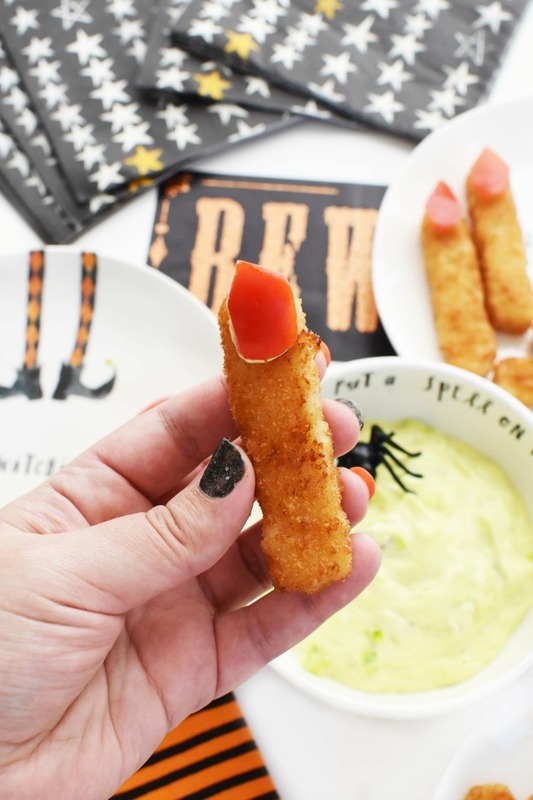 After Fish Sticks are cooked according to the package, add one dab of tartar sauce to the top middle and adhere one oval shaped piece of "bell pepper nail". Serve warm & enjoy. I love how cute these are, and I love the health benefit, too. Fish is healthy, and bell peppers are, as well. These are some really fun ideas. I love making Halloween food items. The kids always have a blast with them too. Will have to try to make some of these. Such a cute and easy idea! Even kids can help to make these! 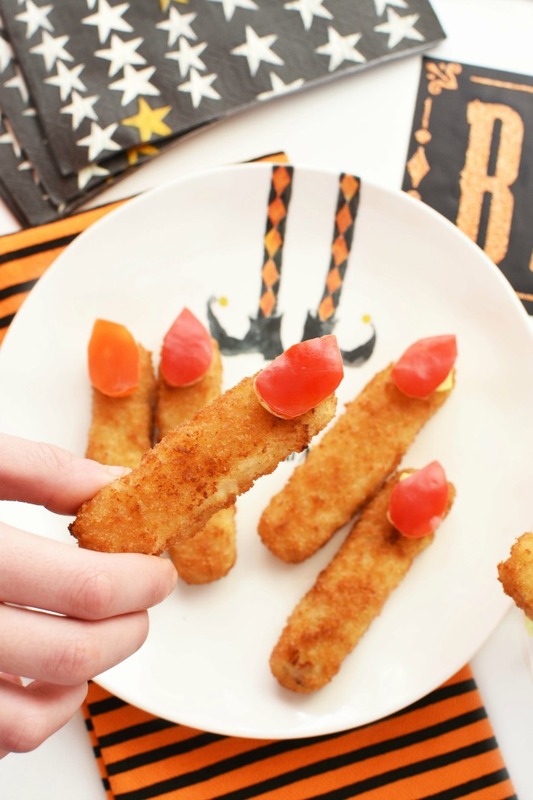 I love how you have taken these boring little fish sticks and turn them into the cutest fingers I have ever saying! Plus what kid wouldn’t want to eat their vegetables if it look like a finger? Great job mom! These are all so cute! 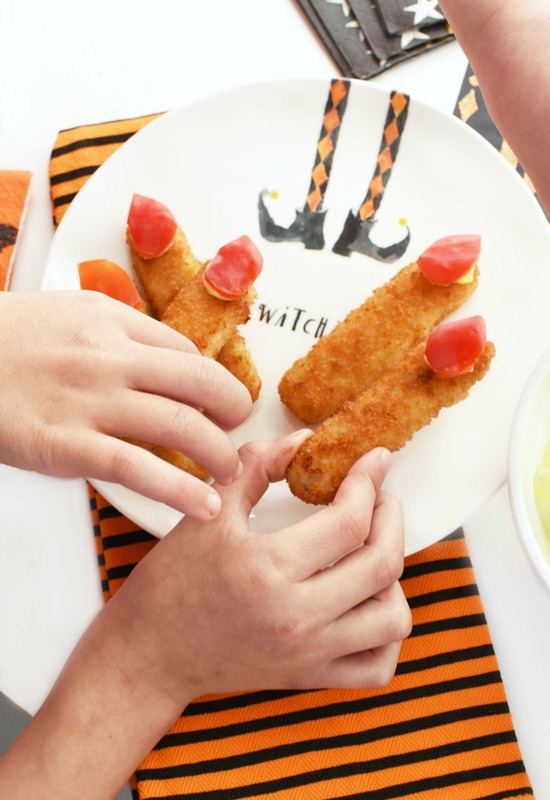 They look delicious too, and those fish stick fingers will be a welcome break from all the sweet stuff we get around Halloween time. I love these for Halloween! I like the fact they are easy to make as well. I am going to make them for my kid’s school party. Thank you.